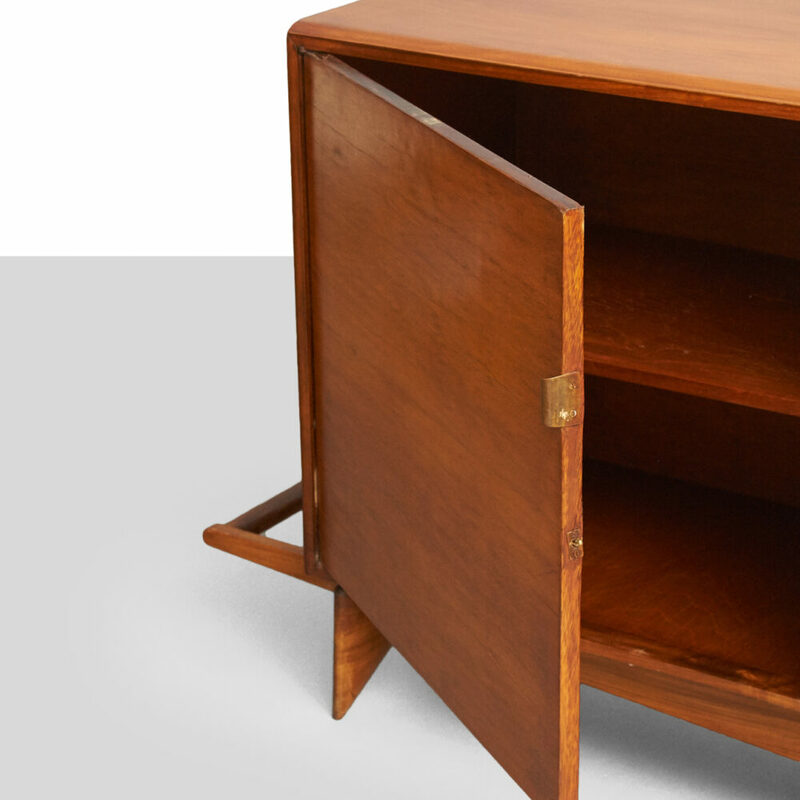 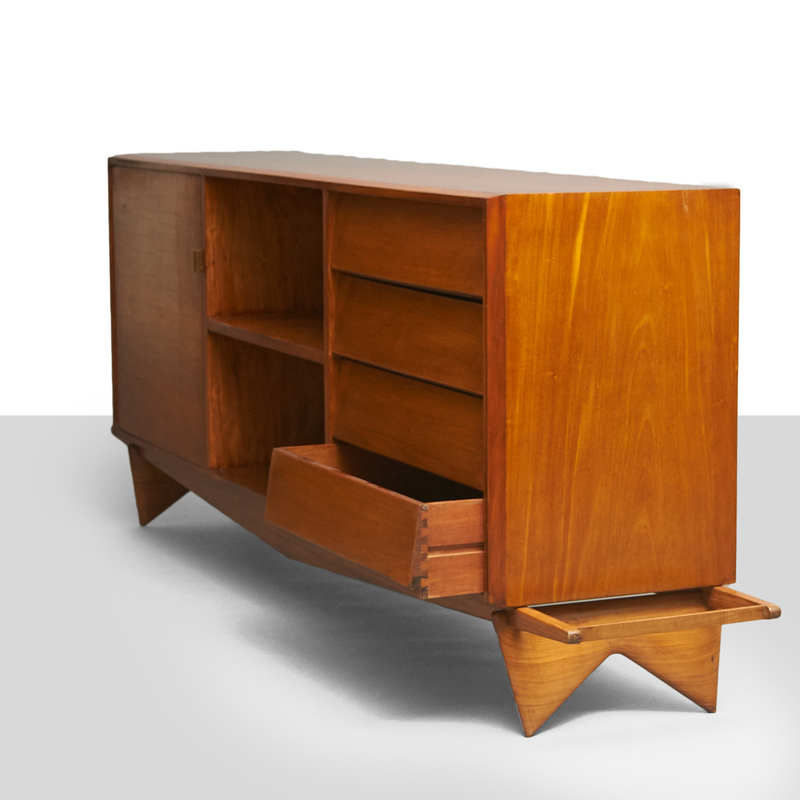 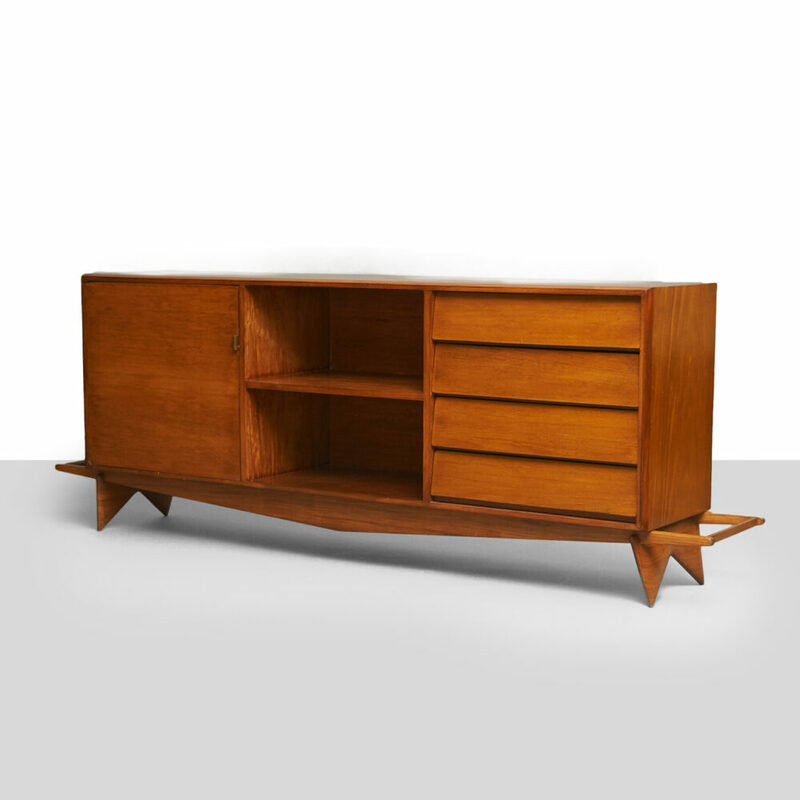 Carlo Hauner and Martin Eisler Credenza. 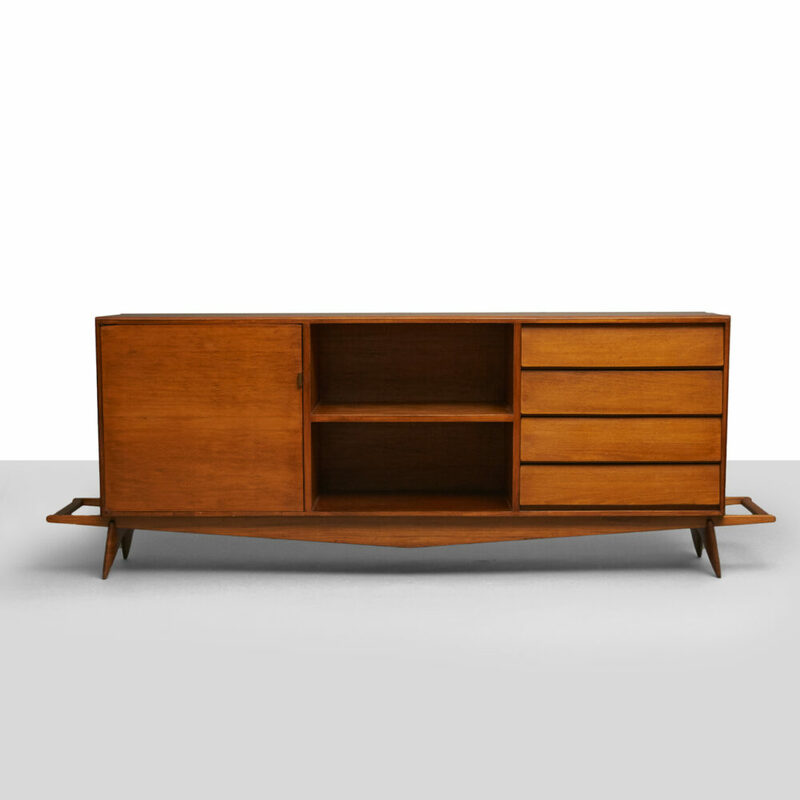 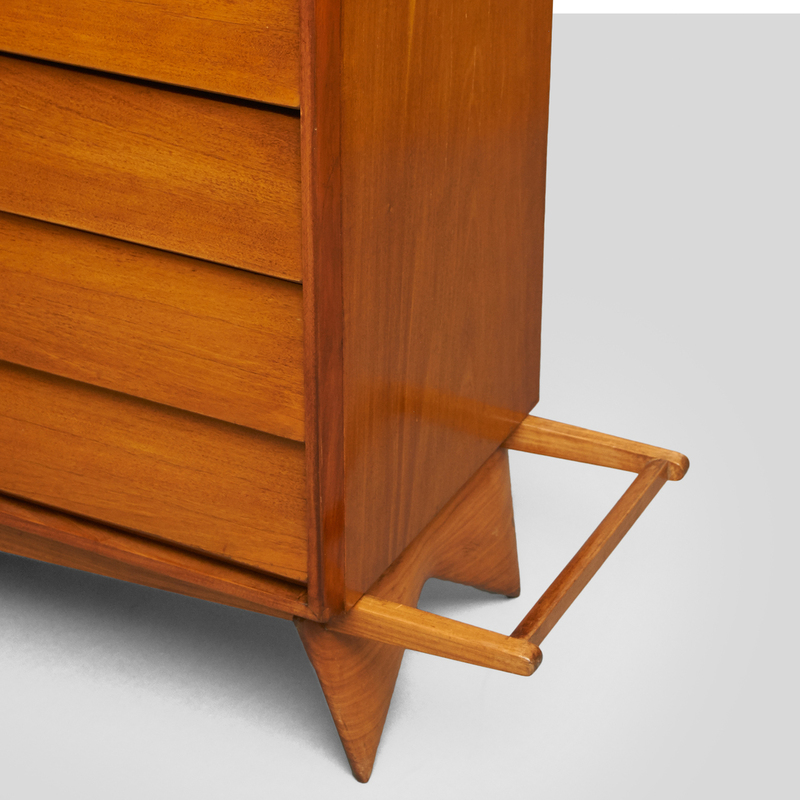 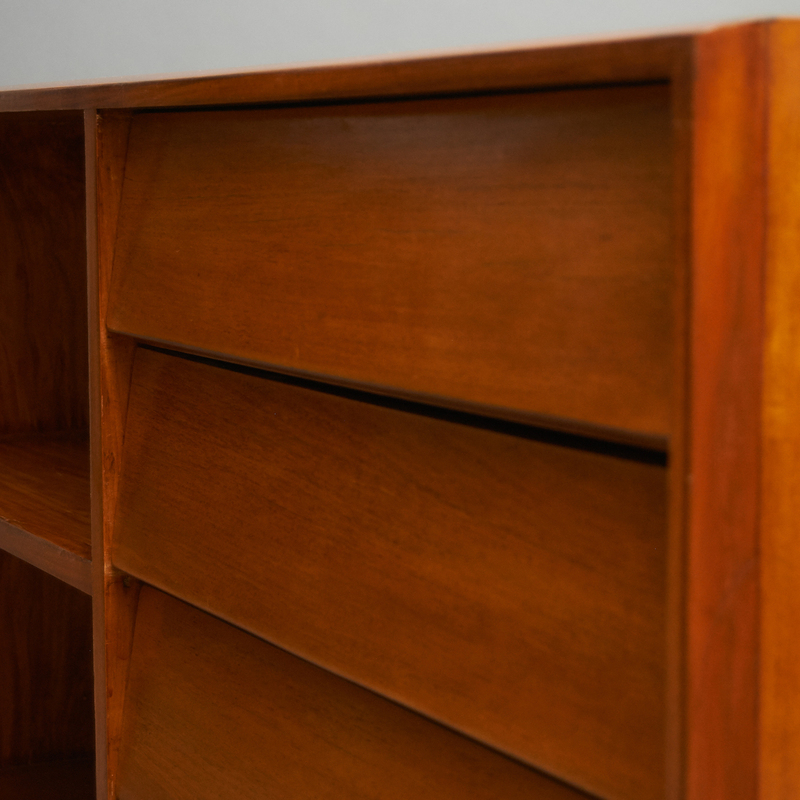 A credenza in caviona wood designed by Carlo Hauner and Martin Eisler for Forma. 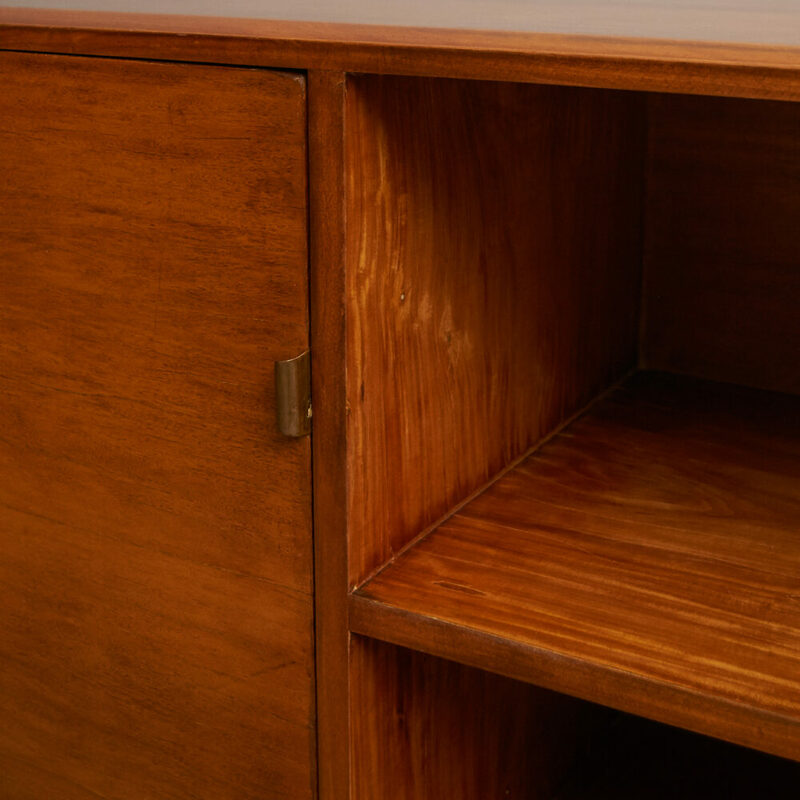 The cabinet has an open center area with an adjustable shelf, four drawers on the right and left side has a compartment with a single door.